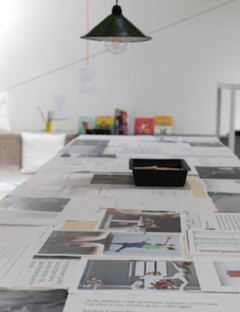 This space features artistic, legal, archival and educational material offering an in-depth analysis of important issues in the dance community. 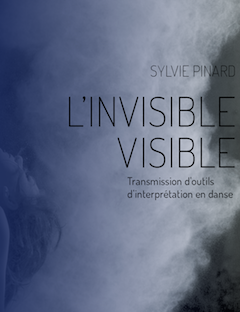 (in French) Quebec choreographer and teacher Manon Hotte, currently based in Geneva, presents the creative process behind Blanc Mémoire—an archival installation she co-created with Swiss photographer and stage director Dorothée Thébert. (in French) The FJPP submitted a brief to the Ministère de la culture et des communications du Québec as part of a public consultation on the renewal of Quebec’s cultural policy. The brief highlighted issues related to preserving and transmitting our contemporary dance heritage. 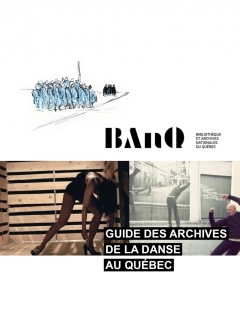 (in French) This guide, published by BAnQ, sets out a classification system and conservation schedule adapted to dance organizations. 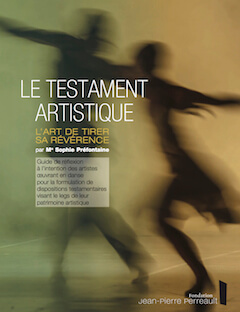 (in French) Written by Me Sophie Préfontaine, this guide is intended to assist dance artists in writing their will and understanding issues related to their legacy. It provides crucial information on artistic legacies at a time when the dance community itself is considering the question of its heritage.